Lot 526 Nova Scotia #5 1857 6d dark green Heraldic Imperforate, used with light oval grid cancel, with four large and even margins and bright fresh colour, extremely fine. 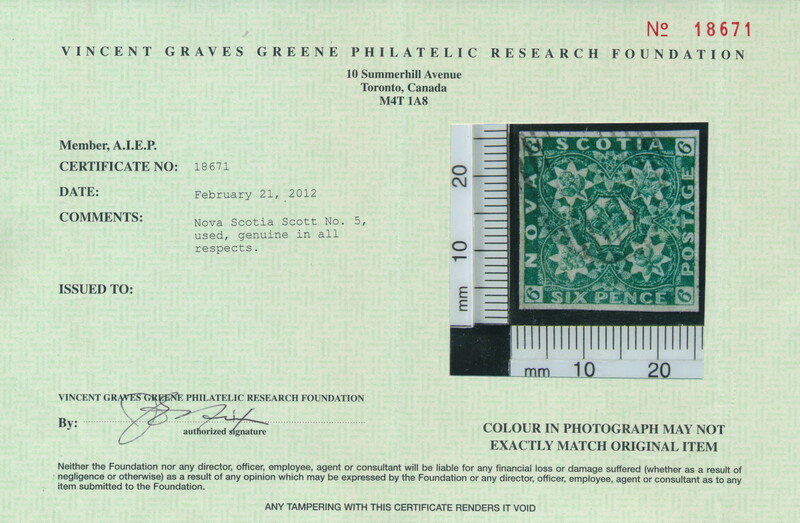 Accompanied by a 2012 Greene Foundation certificate. 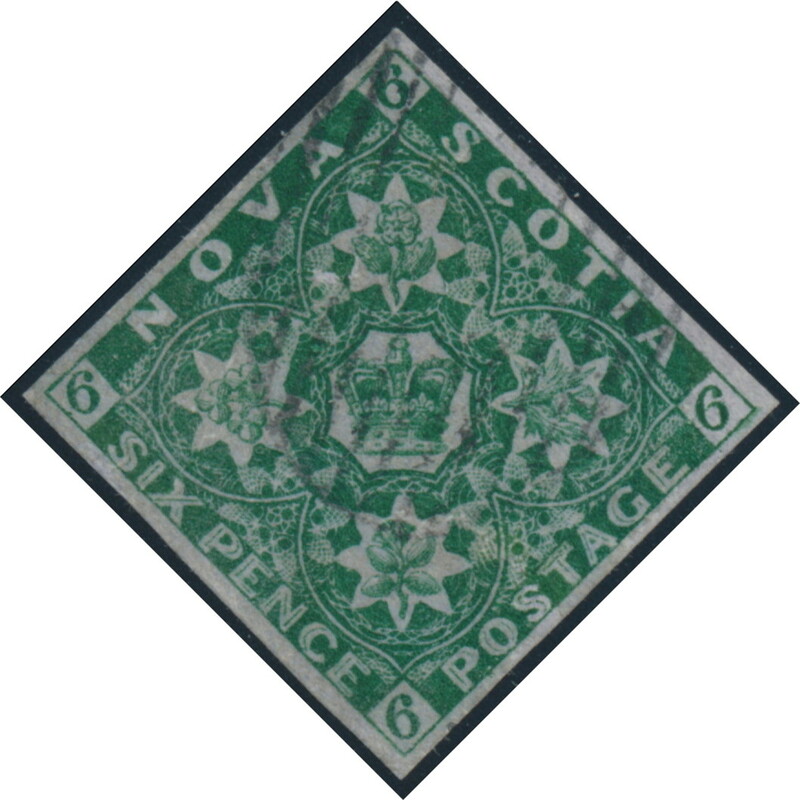 A rare stamp in such nice quality. Rsv. Unitrade CV$3,000.